Bruce Atchison, Director of Early Learning at the Education Commission of the States and chair of the report committee for the K-3 Policymakers' Guide to Action: Making the early years count, discusses an overview of the importance of policy efforts in K-3 and the motivations for developing the K-3 Policymakers' Guide to Action. Education Commission of the States partners with CPRE Knowledge Hub to provide viewers with context regarding their new report, K-3 Policymakers' Guide to Action: Making the early years count, and additional insight. The Cool Thinking on Hot Topics series on the K-3 Policymakers' Guide to Action is initiated by an interview with Bruce Atchison, Director of Early Learning at the Education Commission of the States and chair of the report committee for the K-3 Policymakers' Guide to Action, who shares an overview of the importance of policy efforts in K-3 and the motivations for constructing the K-3 Policymakers' Guide to Action. After this introductory interview, the series features interviews with some of the nation's top experts on K-3 education who participated in the Thinkers Meeting for the development of the Guide, such as the Chief Academic Officer of the Division of Teaching and Learning at the West Virginia Department of Education Clayton Burch and Professor of Education Policy at the University of Illinois at Chicago Steve Tozer. There are also enlightening interviews with Chair of the Thinkers Meeting Christopher Cross who is the Chairman of the Education Policy Consulting Firm Cross & Joftus and moderators on the K-3 panel for the Education Commission of the States, including Education Director of the National Governors Association (NGA) Aaliyah Samuel and Education Policy Specialist for the National Conference of State Legislatures (NCSL) Matthew Weyer. Below, please utilize these select resources, which were chosen to provide more ways to broaden the knowledge and takeaways you gathered from our Cool Thinking videos on the Education Commission of the States' K-3 Policymakers' Guide to Action. These resources will deepen your knowledge base, and provide additional details and considerations to supplement the conversations captured in our Cool Thinking videos on K-3 policy. Education Commission of the States provide information regarding K-3 Quality policies in all States. The report published by the Education Commission of the States addresses issues of interest to policymakers and education professionals regarding the Every Student Succeeds Act (ESSA) prior to its enactment. Education Commission of the States addresses six key areas K-3 education experts identified as essential for improving the quality of K-3 education. 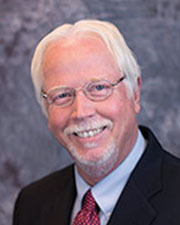 Bruce Atchison is the director of early learning at the Education Commission of the States. He has served in a variety of other roles including as the executive vice president of a child advocacy organization, a Head Start State Collaboration Director, the Executive Director of Denver Public Schools Family Resource Schools and the president and CEO of a nonprofit child care center. 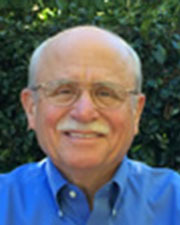 In addition to his work as a professor, Atchison has experience working in K-12 classrooms, as well. 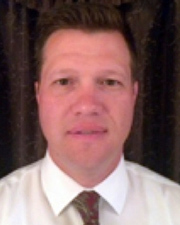 Clayton Burch is the chief academic officer for West Virginia Department of Education, and Clayton specifically works for the Division of Teaching and Learning. Clayton has abundant teaching experiences and has actively involved in implementing high quality pre-K programs, collaborating with community partners and increasing school readiness. Christopher Cross was recognized as a 2016 Distinguished Senior Fellow by the Education Commission of the States. His work in current education policy includes serving as chairman of Cross & Joftus. Earlier in his career, he was a senior fellow at the Center for Education Policy, the president of the Maryland State Board of Education and the assistant secretary for educational research and improvement in the U.S. Department of Education. 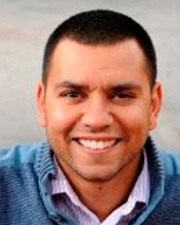 Eddy is an assistant principal in a PK-5 school in Colorado Springs with experience in teacher development, principal leadership, third grade reading proficiency. 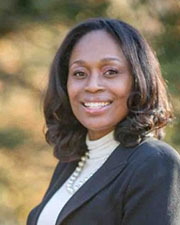 Aaliyah Samuel is the director of the education division at the National Governors Association (NGA). Aaliyah focuses on education policies targeting kids from birth to the third grade. Her works include evaluating program goals, analyzing program issues and optimizing program objectives. 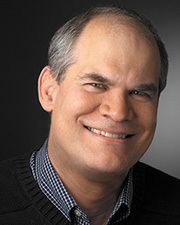 Steve Tozer is a Professor and the founding coordinator of the EdD Urban Education Leadership program in the College of Education at the University of Illinois at Chicago. Steve’s research and teaching interests include unequal school policies, teacher development and preparation of school leaders. Steve has abundant publications, and outside of his academic works, Steve has also been active in leading public policy initiatives. Matthew Weyer is a policy specialist at the National Conference of State Legislatures (NCSL). Matthew’s interest areas include early childhood education, English learning and family engagement. 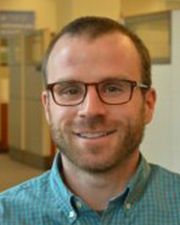 Matthew comes from a Psychology background, and recently completed his Ph.D. in Educational Leadership and Policy Studies at the University of Denver.